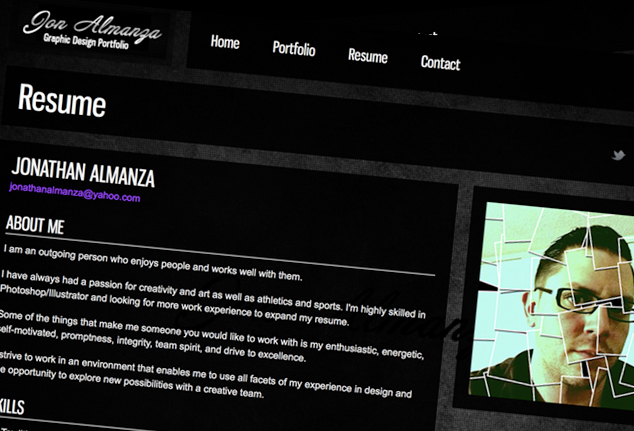 This website is a graphic design portfolio used primarily for showcasing the art of Jon Almanza. A simple, non-distracting home page was intentionally designed with only a background image, background music and a top navigation menu. 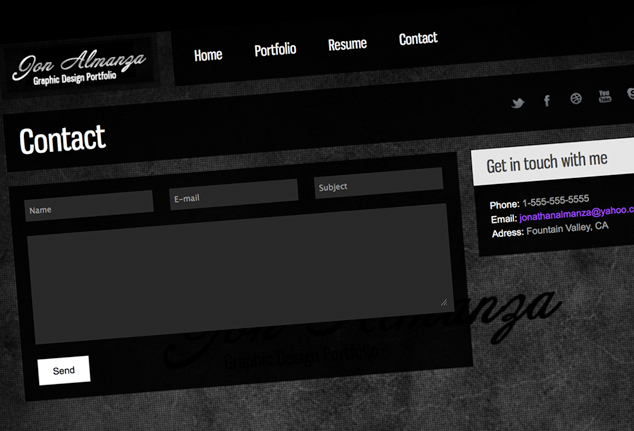 The portfolio page has filterable categories and the contact page is scripted using PHP. 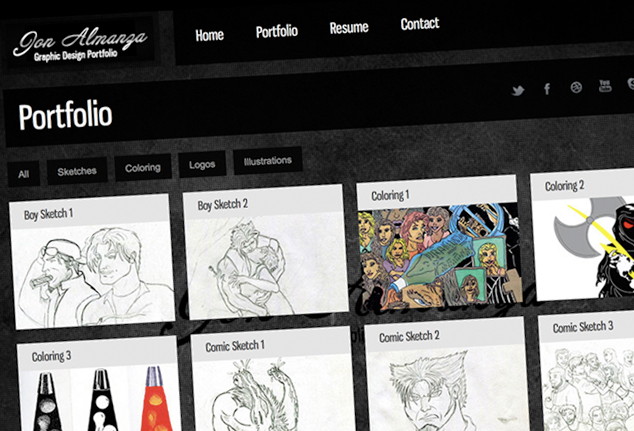 Jon Almanza is a graphic artist from Fountain Valley, CA who specializes in comic book character art.